Developing malocclusions can be recognized as early as 2-3 years of age. Early evaluation provides both timely detection of problems and greater opportunity for more effective treatment. Prudent intervention guides growth and development, preventing serious problems later. By the age 7, the first permanent molars erupt, establishing the back bite. During this time, a pediatric dentist can evaluate front-to-back and side-to-side tooth relationships. Timely screening increases the chances for a simply beautiful smile. Most orthodontic problems are inherited. Genetic problems may include: crowding, too much space between teeth, protruding upper teeth, extra or missing teeth, and jaw growth problems. 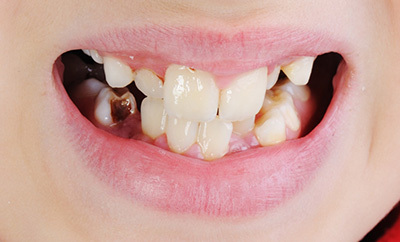 Thumb-sucking, finger-sucking, disease, abnormal swallowing, poor dental hygiene, early or late loss of baby teeth, accidents, poor nutrition or other medical problems can also cause problems with children’s teeth. Malocclusions occur as a result of tooth or jaw misalignment. Malocclusions affect the way you smile, speak, chew, clean your teeth or feel about your smile. Untreated malocclusion can result in difficulty to properly brush and floss, susceptibility to accidental chipping, tongue thrusting and speech impediments. Early treatment can simplify later orthodontic treatment. What is Pediatric Orthodontics (Phase I)? Pediatric orthodontics (also known as Phase I) usually starts while the child has most of their baby teeth, six years molars and a few of their permanent front incisors. This stage in development is usually about the age of 8 or 9. The goal of Phase I treatment is to intercept a moderate or severe orthodontic problem early in order to reduce or eliminate it. These problems include skeletal dysplasia, crossbites and crowding. Early treatment also helps to make room for permanent teeth to come in properly, lessening the chance of extractions in the future and as needed it will shorten braces treatment time for children. Phase I treatment takes advantage of the early growth spurt and turns a difficult orthodontic problem into a more manageable one. This helps reduce the need for extractions or surgery and delivers better long term results and treatment options. 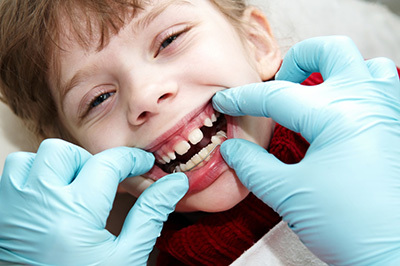 What are the advantages of Pediatric Orthodontics? Guide the growth of the jaw and guide incoming permanent teeth, create room for crowded, erupting teeth. Gain space for permanent adult teeth, avoiding the need for permanent tooth extractions later in life. Preserve the space for unerupted teeth. Correct the impact of thumb sucking, and eliminate abnormal swallowing, grinding or speech problems. Evaluate airway and breathing issues, including issues with tonsils. In other words, pediatric orthodontics can simplify later treatment by reducing treatment time with braces. Can I wait on Phase I/Pediatric Orthodontic Treatment until my child is older? This is not recommended. If your child needs Phase I treatment this usually means that he has a difficult problem that requires attention now. If no orthodontic action is taken, treatment options become limited, more difficult, and the long-term stability may be compromised. In addition, it may lead to extractions, oral surgery and increased costs. The second phase is initiated when all permanent teeth have erupted after completing the phase one treatment on some patients. This most commonly occurs at the age of 11 or 13.The goal of the second phase is to make sure each tooth has an exact location in the mouth where it is in harmony with the lips, cheeks, tongue, and other teeth. When this equilibrium is established, the teeth will function together properly. 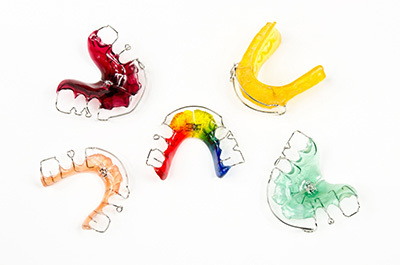 Retainers are worn after this phase to ensure you retain your beautiful smile. Dental problems related to jaw growth get worse, not better, with time. Because they are growing rapidly, young children benefit enormously from appliances which balance the relationship between the upper and lower jaws, and develop room for erupting permanent teeth. Two-phase orthodontic treatment is a very specialized process that encompasses tooth straightening and physical, facial changes. This does not mean you are being treated twice it means your treatment is divided into two stages! 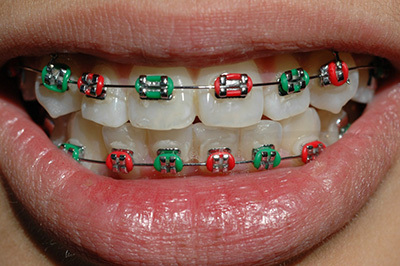 Two phase treatment separates the entire orthodontic treatment into two time periods, with each period being the best time to correct specific problems.The major advantage of a two-phase treatment is to maximize the opportunity to accomplish the ideal healthy, functional, aesthetic result that will remain stable throughout your life. What if I put off orthodontic treatment? Malocclusions occur as a result of tooth or jaw misalignment. Malocclusions affect the way you smile, chew, clean your teeth or feel about your smile. According to studies, untreated malocclusions can result in a variety of problems. Crowded teeth are more difficult to properly brush and floss, which may contribute to tooth decay and/or gum disease. Protruding teeth are more susceptible to accidental chipping. Crossbites can result in unfavorable growth and uneven tooth wear. Openbites can result in tongue-thrusting habits and speech impediments. Ultimately, orthodontics does more than make a pretty smile-it creates a healthier you. Pediatric Orthodontics: Early treatment allows pediatric dentist to monitor the growth of the jaw and recommend further orthodontic treatment if it becomes necessary. 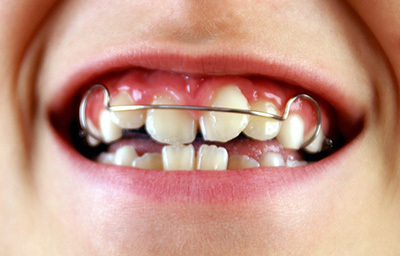 Not everybody receives early orthodontic treatment, and in some cases it may be recommended that patients wait until they are older to receive treatment. What needs correction:The amount of treatment needed to correct a problem will determine how long the process takes. Different patients react to treatments differently, so while it may take one patient only 12 months to complete their treatment, it may take another patient 24 months. Treatment times can vary depending on how quickly your body responds and how much work is needed to give you the show-stopping smile you expect. Also depends on the patient’s age, the severity of the problem, and the patient’s cooperation. You! Your willingness to use the appliances your Pediatric Dentist or Orthodontist gives you plays a major role in the length of time it takes to complete your treatment. 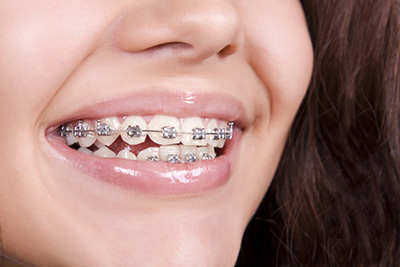 Always remember to take care of your braces and appliances; this truly will help make your treatment shorter!